The latest official patch for Red Alert 2, as was released on 7 June 2001. You can read the full changelog here. 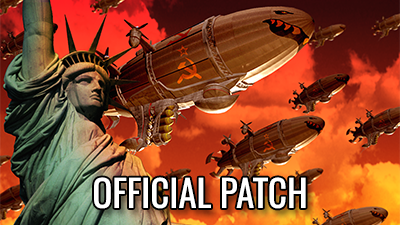 This patch is required for the installation of the Yuri’s Revenge expansion pack. 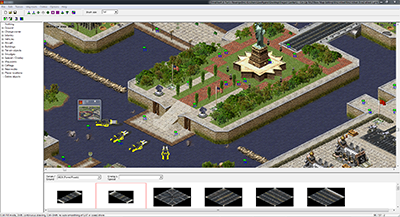 The latest version of the semi-official map editor for Red Alert 2 and Yuri’s Revenge. While v1.01 was the final official version endorsed by Westwood, this release can read ecache(md)##.mix files, which makes the editor more compatible with mods. These are the twelve official map packs released for Red Alert 2. Do note that they can cause out-of-sync issues with Yuri’s Revenge, as the expansion already includes many of these maps by default. These are the official Windows Plus! Allied and Soviet themes. They can be applied to Windows 95, 98, Me, 2000, and XP. This package includes official promo material from Red Alert 2 made for fansite creation.